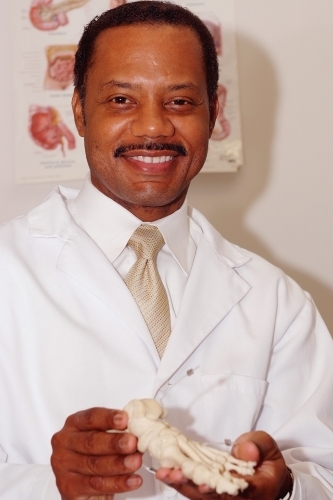 Dr. Hall is a Diplomate, American Board of Podiatric Surgery and is certified in foot and ankle surgery. He is a Staff Podiatrist and performs all of his surgery at Cedars Sinai Medical Center, where the facilities, service and quality of care are exceptional. He is highly trained, experienced and proficient in the surgical correction of bunions, hammertoes, neuromas, foot fractures, ankle fractures, foot and ankle tendinitis, tendon injury including Achilles tendon ruptures, adult flat foot reconstruction, pediatric flat foot reconstruction and pediatric deformities. He has an extremely reputable record of surgical removal of skin lesions and masses in the foot and ankle. He has a reputation for meticulous surgical skill and employs a cosmetic approach to skin incisions and closure. He trained directly with and learned from one of the “creators” of one of the most common bunion techniques utilized in Podiatry. He has performed over 1000 foot and ankle surgeries, including pediatric, reconstructive and trauma surgeries. He was never sued. This proven, well-developed Podiatric acumen and surgical skill combined with his meticulous approach to surgery make him an elite surgeon. If you think you may need surgery you will be under vary capable care with Dr. Hall.